We have to work sincerely and because Krishna is in everyone's heart, there will be no difficulty to have the necessary facilities. — Letter to Satsvarupa, 14th Sep, 1969. Just work in such a way that God wishes to see you. 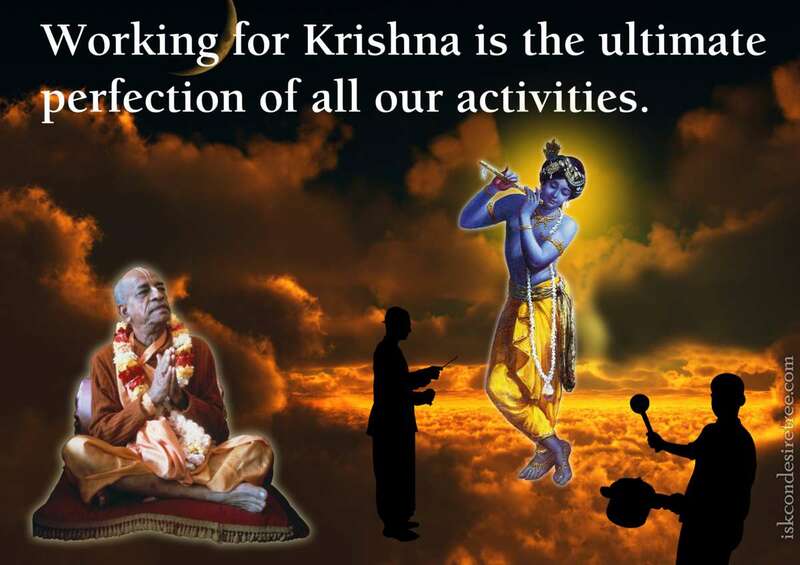 This is the Krishna Consciousness movement. Everyone is busy to see God. Of course, it is not so easy to see God. However a devotee is not busy to see God, but he wants God to see him. It takes hard work to make something wonderful. Everyone is just working for money which makes the society very shallow. 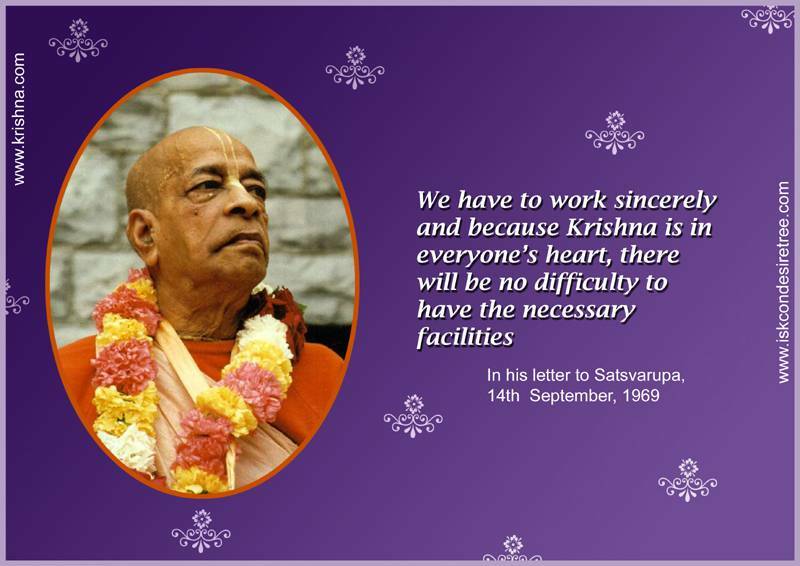 We have to work sincerely and because Krishna is in everyone’s heart, there will be no difficulty to have the necessary facilities.